"Just bought SHamp and put it in my Ovation bass acoustic – awesome. Gives me that extra volume for jamming with the boys. How did I hear about SHamp? – I didn’t! Just happened to notice it when I called into local music store.. The funny thing is I had been thinking there must a way of hiding a very small amp inside a guitar. So when I saw your product I was flabbergasted, and just had to try it. Must admit I was apprehensive as I hadn’t heard anything about it. So glad I did." "My SHamp is just what I've needed for outdoor acoustic gigs. My Fender acoustic bass can be heard better without over-picking and finger blisters, and without overpowering other instruments. The SHamp is very easy to install and is self-contained; no other adaptations needed. It works for me, and can work for you." 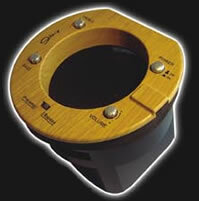 "SHamp is one of the most radical products developed for guitarists! It is absolutely fantastic!! Being a guitarist/vocalist in both the band and solo field, I have always been frustrated that it is often difficult to be heard above banjos, pianos, (and the like) when jamming or working acoustically. This is where the SHamp sound-hole amplifier is just superb. Basically, it takes the signal from my 'on-board' pickup and amplifies it through a speaker/amp that fits directly into the sound-hole of the guitar. It’s ingenious… no need to carry around those little amps etc. 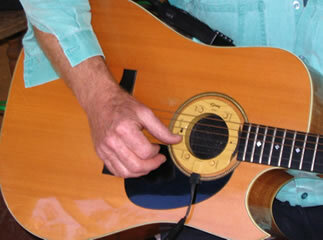 The other great benefit is that it can be fitted very easily to any of my acoustic guitars. 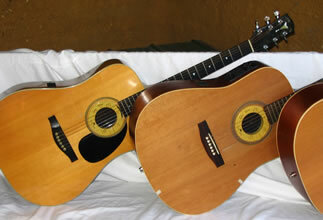 Whether it be my Gibson, Maton, Seagull or Ovation. So, I only require the ONE unit for different guitar uses. Plus, because SHamp has volume and tone controls I can blend the acoustic sound with the amplified signal giving me a great deal of flexibility with the sound of my guitars. I can also 'crank it up' for the odd solo etc. I play in an acoustic quartet consisting of two guitars, upright bass and drums. Up till now when our lead guitarist went into a solo the rest of us had to bring our volume way down or drown out his solo. Then he purchased “the SHamp”. Now when he solos every note can be heard and we can all stay at the same level. I was a little skeptical when he first came to rehearsal with the “SHamp” but I have to admit that every note comes through clearly from the deep bass end to crystal sounding top end. Even members of the audience have commented on how he can achieve a louder sound from his acoustic from what is an extremely compact unit . Thankyou once again for your amazing product.